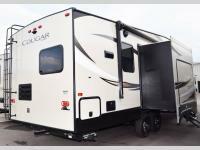 If you have been searching for a fifth wheel that is tailored to your needs, take a look at this model. You have the choice of cooking inside in the rear kitchen with full appliances and a pantry to store plenty of food, or outside on the capital grill and storing your drinks in the mini refrigerator. 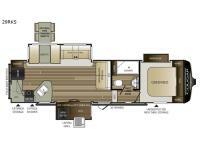 The triple slide outs allow you to move around the main living/kitchen area freely without feeling cramped, and the master bedroom is roomy also. I'm sure you can imagine relaxing in the theater seats and on the sleeper sofa on a cold night after a long day outside. 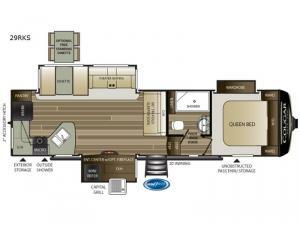 Come see what else will make this the perfect RV for you and your family's lifestyle. 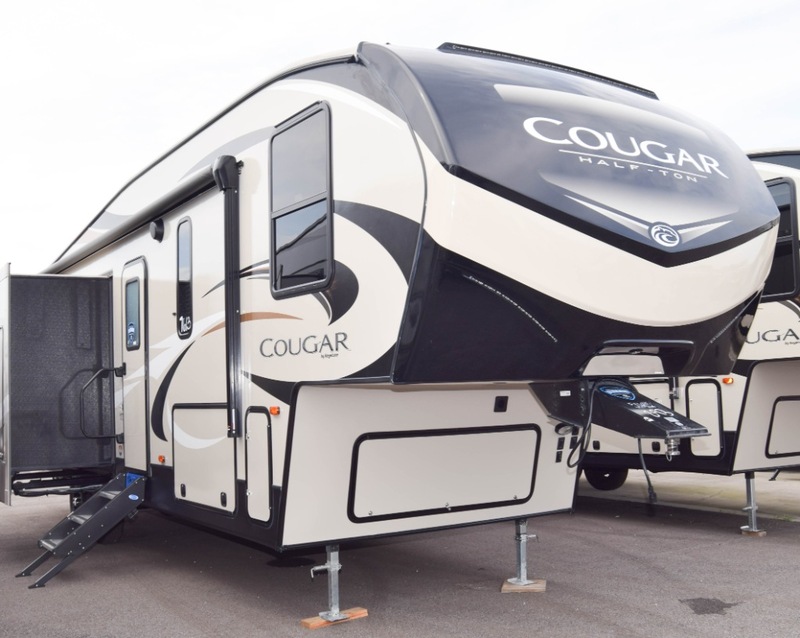 With any Keystone Cougar Half-Ton fifth wheel you will be able to camp in any weather with the forced-air heated and enclosed underbelly with enclosed dump valves and astorfoil insulated slide floor. If you need to stay cool or warm, these units have you covered. You can even take your bikes and additional totes along with the 225 lb. capacity folding exterior bike/storage rack. Each interior includes oversized panoramic windows that are fully ventilated, the KeyTV which is a multi-source signal controller, and new modern interior styling with pillow-top seating, a fold-flat sofa and dimmable lighting. 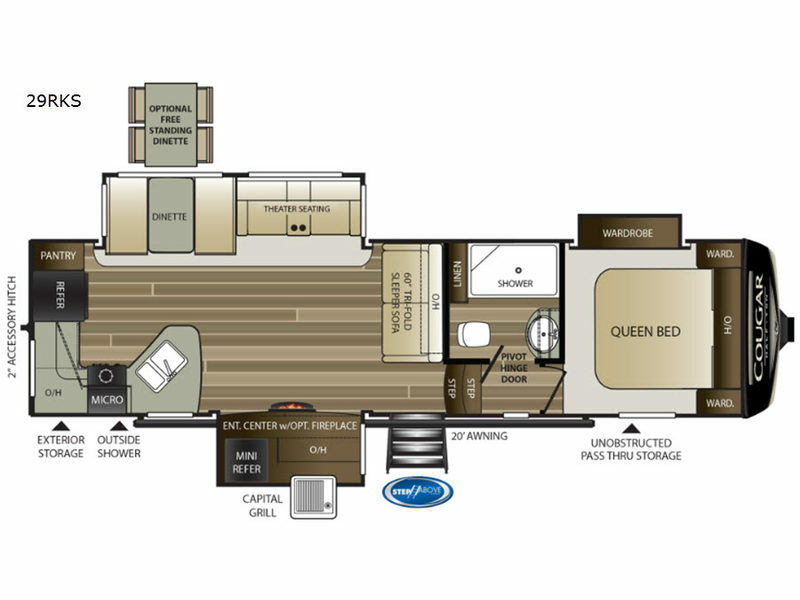 You are sure to appreciate the iN-Command Generation 3 with Global Connect giving owners total control over power, slides, awnings, HVAC and more. Choose your favorite model today!